In this article, You will know the Clash Of Clans December Update Leaks, Some of the information which is not officially confirmed but got some leaks, Every year during Christmas, Supercell launch a new update in the early week of Christmas, As Christmas week will be holidays to the Supercell. And also the Red event is coming, Red event is the event where the total money generated from Red gems and some other funds are given to charities completely. They are doing for Clash of Clans yearly and other Supercell games too. 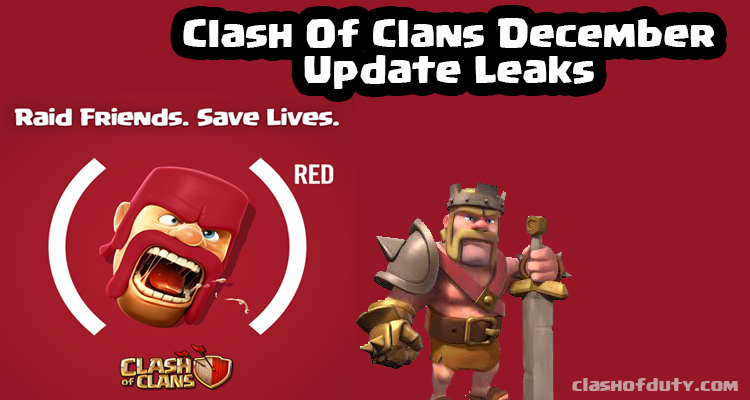 So with Red event, Some updates with Clash of Clans also bursts out. When Is The New Clash Of Clans Update is Going to Come?? 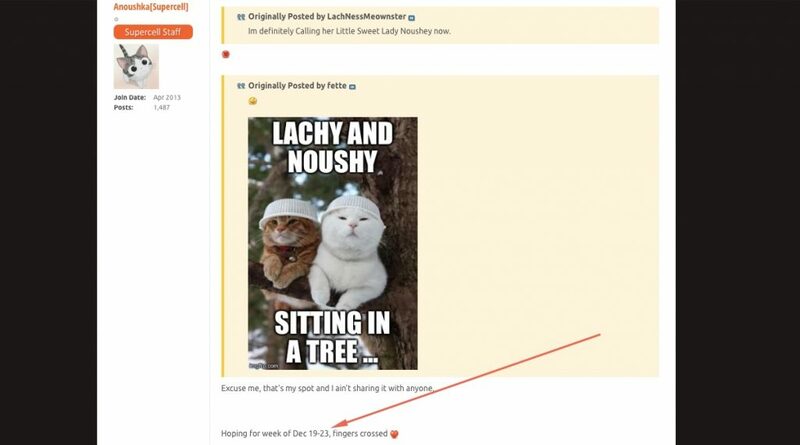 This is confirmed by one of the Supercell admin Anoushka; It is going to fall between December 19th – December 23rd, 2016, Check the image below. So Clash of Clans fans can have a great treat over the Christmas Week as every year, This year it’s going to be something new, Clash Of Clans crew planning to add water strategies to the game 🙂 Interesting na bro. We cannot confirm that this information is true, But some of the coding experts tried to decode some of the files left by Supercell and checked this information, They got some pictures. As said above, Clash of Clans seems to be introducing water strategies. The ship is a just normal ship, It doesn’t look to be equipped with weapons. It is expected that as in Boom Beach Submarine, We have to purchase the ship and ship goes to ocean and returns back to us with a predetermined time, And gives use some gems, Elixir, Gold, Dark Elixirs. When the ship is damaged or shipwrecked, It could be repaired using Clan Castle as per information. So, The ship is going to give us additional resource boost for us 🙂 , Happy new na! Here is the look of Barbarian King Statue. It is also expected that his shield will be in red colour supporting Red event. In this update, There will be slight modification of several troops appearance. Air Sweeper lvl 6 is going to have new looks. Golem level 4 have some tremendous modifications. So, These are some of the little modifications. Check out the video below, These are some of the modifications which are going to in Clash Of Clans December Update 2016, If you want to know more about this updates and need more knowledge about the Supercell games, Please do Subscribe, Share this article with your friends, So that it might help them, Thanks for reading. Thanks Uzer, Hope you love the update.